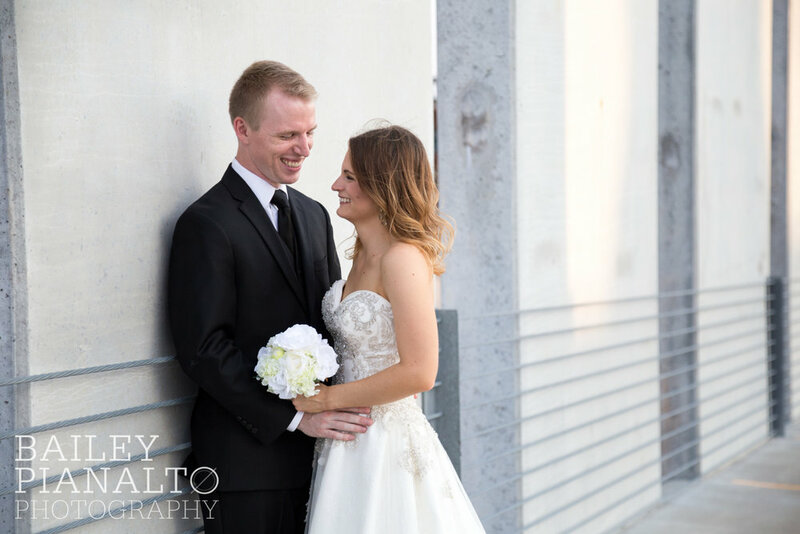 Still Married: Zach & Lauren! Today on the blog I bring you a really cool couple. How cool are they? Cool enough to voluntarily step out in their wedding finery in 90 degree weather and have a smile on anyway! These two lovebirds, Zach & Lauren, have been married a little over two years now, but they were kind enough to put on their wedding clothes again for me so I could practice my bridal portrait skills. Despite the heat and the late hour (we met up after work one evening) everything went off without a hitch and we had a great evening exploring the Crossroads of Kansas City together. See the results for yourself! A HUGE thank you again to Zach and Lauren for playing along and putting up with my crazy request in such style!